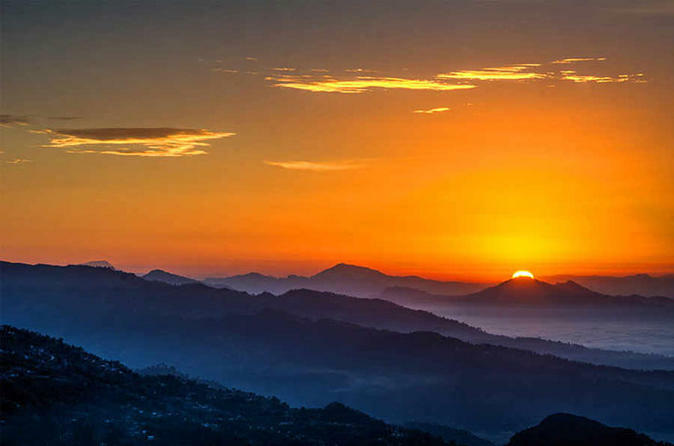 Enjoy your morning on Sarangkot Hill, which is known for it's breathtaking panoramic views of mountains and an amazing sunrise on this 6-hour tour. After breakfast, begin a 3-hour hike with your guide from Sarangkot to Naudada. There, you will have lunch before heading back to Pokhara. 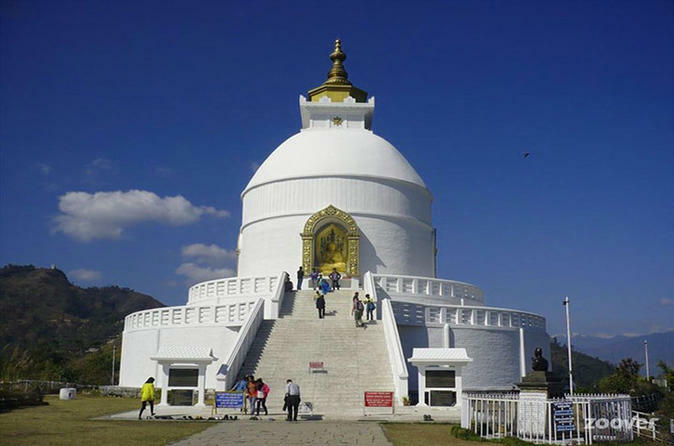 The World Peace Pagoda is a Buddhist monument on a hilltop in Pumdi Bhumdi. It is situated at a height of around 3600 feet (1100 m) and was built by Morioka Sonin, a Nipponzan-Myohoji monk, with local supporters under the guidance of Nichidatsu Fujii, a Buddhist monk and the founder of Nipponzan-Myohoji. The shrine was built as a symbol of peace, and has become a famous tourist attraction as it provides a panoramic view of the Annapurna range, Pokhara city and Phewa Lake. Start your day off with a bang and grab an incredible view of the Nepal sunrise on this 2.5-hour tour. 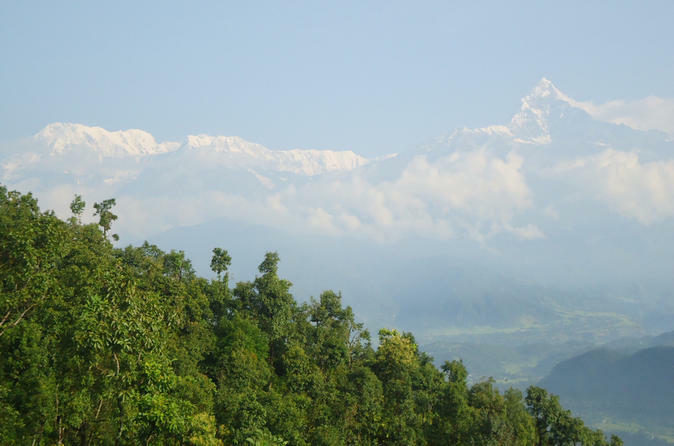 A professional guide will bring you from your hotel to the small hilltop of Sarangkot that contains a breathtaking view of the sunrise, the Annapurna range, and Pokhara. Peek over the valleys and grab your camera for this true introduction to Nepal.